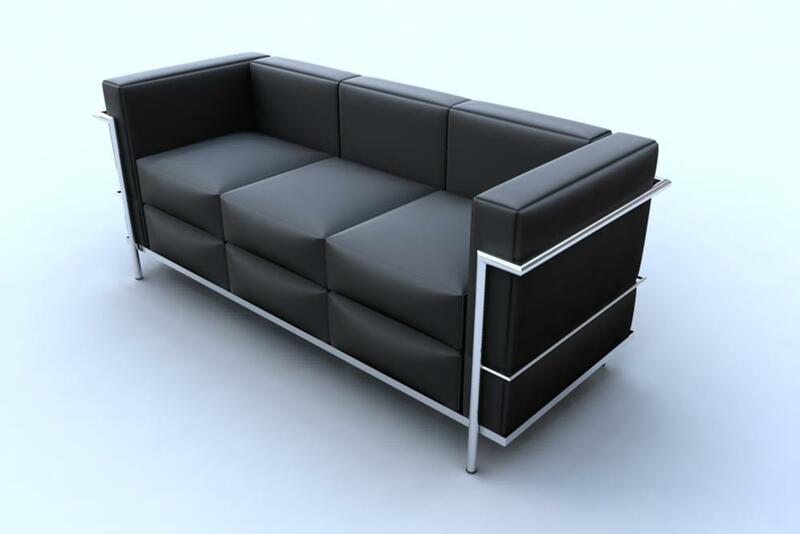 The Le Corbusier Style Loveseat is a beautiful reproduction of the 1928 classic. The smooth, soft leather screams elegance, wrapped in a thick and sturdy stainless steel frame. Perfect for modern interior. The Le Corbusier group referred to their LC2 and LC3 collections as "cushion baskets" which they designed in 1928 as a modernist response to the traditional club chair. With cushions held in place without being tethered to the frame, the idea was to offer all the comfort of a padded surface while applying the elegant minimalism and industrial rationale of the International Style. 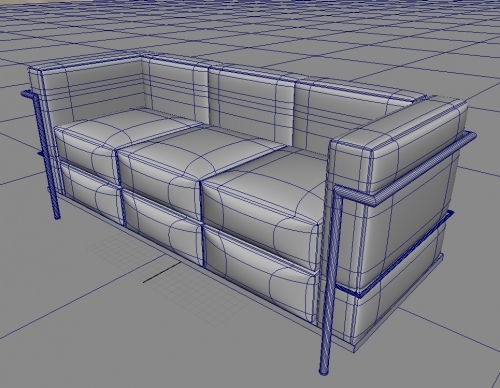 Format MB for maya 2009 or successive versions, shading materials included.